Established 1988 May 26 Muscle was established with a dream of an engineer to do a work that is helpful for people, a work that makes ourselves and other people happy and a work that contributes to people’s happiness. 6 years later, we were approved as a receiver of investment trust from Osaka Research and Development company association. In the 10th year, we succeeded in the development of product that was approved by FDA (Food and Drug Administration) and started exporting medical devices to a big medical company in the USA. Although we are small, we specialize in being a brain power that has high level technology and sales force. On the other hand we are taking an active role as a fabless company outsourcing manufacturing to world class companies. With a basic policy that the existence value for Muscle is to achieve what other companies can not do, we have obtained numerous patents and know-how, making us a fast growing company. We provide a total solution for a system of industrial machines and equipments. 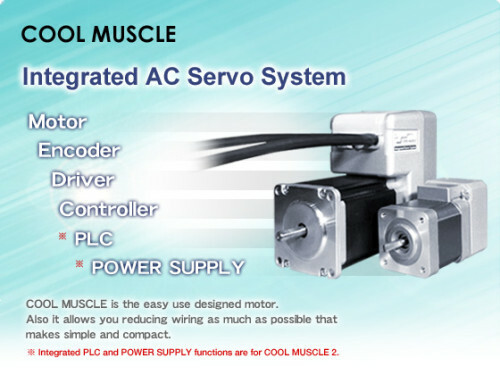 We specialize in motion control for servo motors and linear motors. 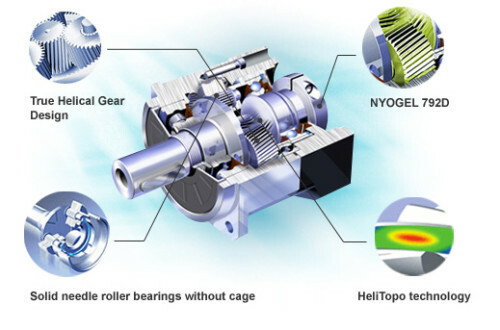 We have successfully created a product based on a stepping motor that achieves high performance with unprecedented cost. Moreover, by integrating various types of original controllers, our products have been used in a variety of machines including industrial embroidery machines, medical equipments such as ventilators, semiconductor/HDD production machines, and inspection machines. Therefore we have obtained a good reputation as a unique control specialist. The “YUME ROBO” that was caught on at Japan Industry Pavilion at Shanghai Expo 2010. The robots were developed by 15 small to mid-sized companies in Osaka and Muscle played a central role in the project. Muscle took this occasion to switch to a Robot manufacture and is making efforts on the contribution to Osaka Robot industry. CANADA: Myostat Motion Control Inc.
SINGAPORE: Elshin International Pte. Ltd.
TAIWAN: New Motech Co., Ltd.
CHINA: Intermech Machinery Pte Ltd.
KOREA: Muscle Corea. Co., Ltd.
THAILAND: Premier Automation Center Co., Ltd.
Japan’s super-aging society may be able to live a little longer at home thanks to a couple of new robotic devices introduced by the Muscle Actuator Motor Company. The company demonstrated a robot lifter and bodily waste removal system at the 39th Home Care & Rehabilitation Exhibition late last month. Designed to provide relief for stressed caregivers, the devices will be available to rent to private residences on a monthly basis. First up is the ROBOHELPER SASUKE, which helps lift a person into and out of bed using servo motors. The device has two rods connected by a sling that slides under the body. The sling is made of a special material and can accommodate a weight of 264 lbs (120 kg). Furthermore the arms can rotate up to 60 degrees, which allows the patient to comfortably transfer from a prone position to a sitting position. Lifting patients is the number one cause of injury to nurses, so it’s only natural that other companies are currently developing robotic solutions. In Japan, Riken and Tokai Rubber are refining the RIBA robot, and Japan Logic Machine is marketing the Care Robot Yurina. An American company called Hstar Technologies is also working on a similar robot called the RoNA (Robotic Nursing Assistant).